If you want the most relaxing and welcoming experience when trying the Crystal Clear H20 Glow Facial treatment, let The Belmore Centre help. Our warm and friendly team will first extend a welcome into our beauty centre to relax in peace before heading in for the treatment. Once ready to begin, a fully trained therapist will use their expert knowledge to perform this painless and effective treatment. The Crystal Clear H20 Glow Facial usually lasts for around 1 hour and is a very safe, pain-free procedure. Results are instant due to the four-step process used, and plumper, firmer skin is achieved right from the first session. The Crystal Clear H20 Glow Facial is suitable for all skin colours and types which makes it a beauty revolution that everyone can enjoy. 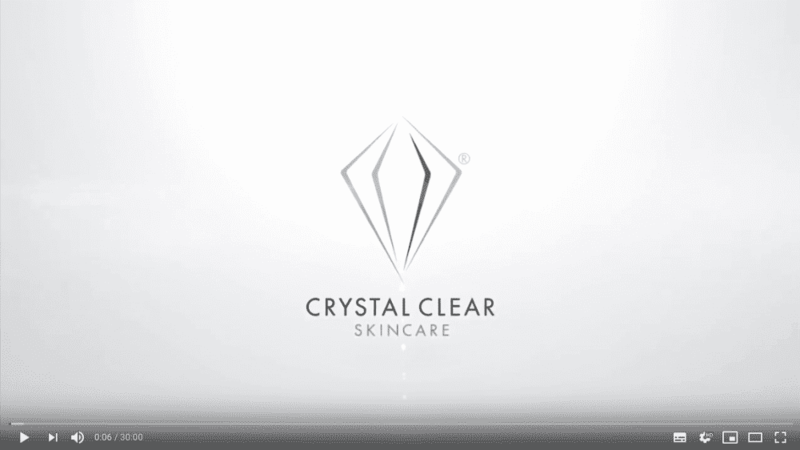 How does the Crystal Clear H20 Glow Facial work? Cryo Oxygen – Cold oxygen is blown onto the skin to help stimulate, re-energise, and cool the face. Micro-Channelling – Micro-channels are created in the epidermis and dermis to help start the healing response process. Active rejuvenating ingredients are then massaged into the skin via these micro-channels. Oxygen Infusion – Oxygen is key for healthy radiant skin that allows the skin cells in the face to function effectively. This stage sees oxygen infused into the skin to give an oxygen boost. Cooling Face Mask – One final step is a cooling mask to help soothe the facial skin. For even better results, this sumptuous mask can be combined with MDA to extend the treatment slightly. This innovative four-step process is the real secret behind why the Crystal Clear H20 Glow Facial is so successful. This is simply the most intense and rejuvenating facial treatment ever seen and we love the results it gives. We are confident that anyone in the Aylesbury area will too when they experience just how relaxing it is and see how much brighter, firmer, and smoother the skin is afterwards. For amazing tone, firmness, and radiance, the Crystal Clear H20 Glow Facial has it all. The active ingredients used include Vitamin C, Hyaluronic acid and PhytoCellTec. All these natural ingredients are simply amazing at promoting natural health in the skin. 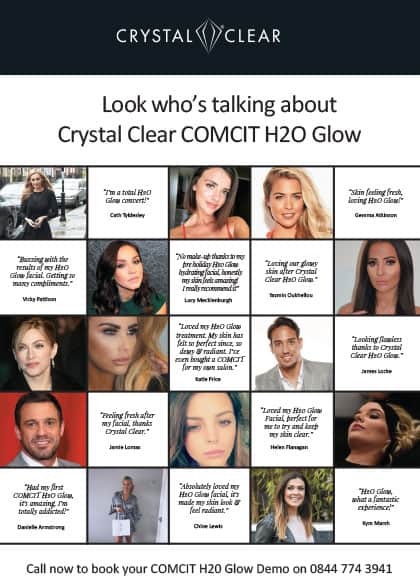 For anyone in the Buckinghamshire area who wants firmer, more youthful-looking skin, then the Crystal Clear H20 Glow Facial is a superb solution. We are sure the vibrant and sublime results will delight all who try it. Ideally, we recommend six treatments for stunning results, taken two weeks apart. This gap helps skin cells take in all the benefits from the previous procedure and allows skin to lay down new collagen as needed. It is also key to use the Complex-C home care products our expert therapists will recommend at home in-between treatments. These lovely, natural products are packed full of goodness to help the skin enhance itself ahead of your next Crystal Clear H20 Glow Facial. This is a very safe, pain-free treatment, which is suitable for all. We love the Crystal Clear H20 Glow Facial and are sure anyone who wants firmer skin in the Aylesbury area will too!